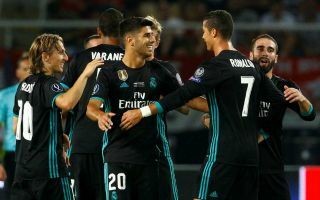 Chelsea are reportedly ahead of Paris Saint-Germain in the running to seal the transfer of Real Madrid attacking midfielder Marco Asensio. Don Balon claim the Spain international is most tempted by the prospect of joining Chelsea if he leaves Madrid, as he is not keen on moving to the relatively lower level of Ligue 1 football. The French top flight still lacks the same competitiveness and prestige as La Liga, the Premier League and Serie A, and it seems that could cost PSG in this particular transfer saga. Asensio has been eyed up by PSG due to Real’s pursuit of Neymar and some possibility of an exchange deal taking places between the two clubs. However, Don Balon suggest Asensio’s preference for joining Chelsea stands in the way of that deal at this moment in time. Another recent report from Don Balon has also suggested Asensio is not keen on the prospect of sticking around at the Bernabeu if they sign Eden Hazard. This could, in turn, present a perfect opportunity for the 22-year-old to replace the Belgian at Stamford Bridge where there would be a gap to fill in attacking midfield. Asensio is an exciting young talent who arguably deserves more playing time than he’s getting at the moment and would be a great coup by the Blues if they could bring him in, even if it did mean losing Hazard. Don Balon have previously reported that Chelsea would be ready to pay as much as £119million for Asensio.